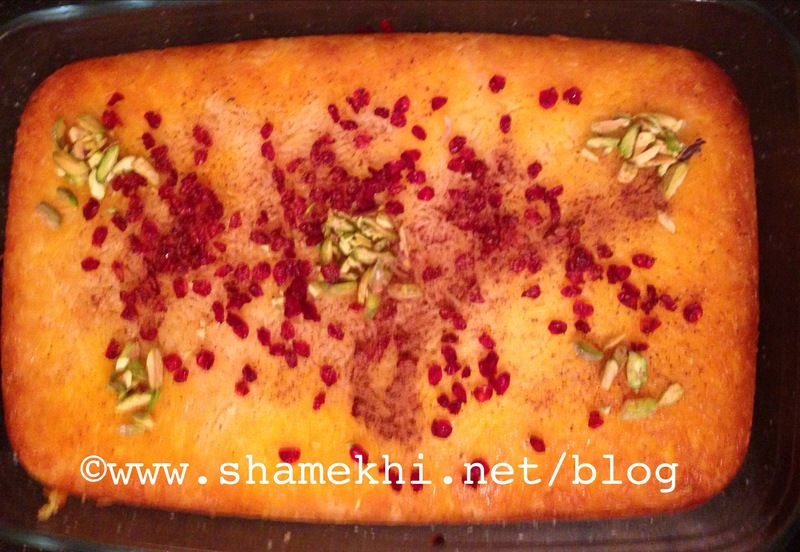 Tah Chin is one of the most popular Persian meals which can be described as a crispy rise/saffron cake. 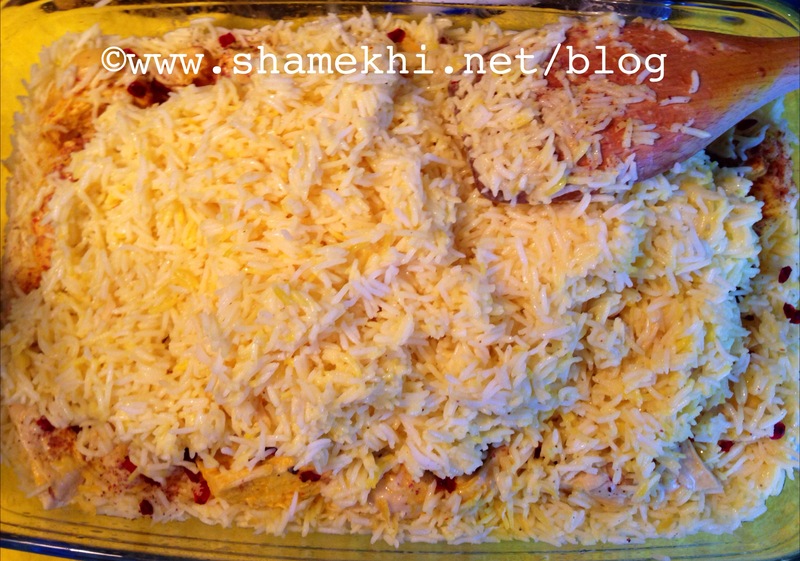 In addition to rice and saffron, it consists of chicken (fillets), eggs and yogurt. This is another recipe by mom, which is really exact and precise at everything, and if you follow the instructions carefully, you’ll make a great dish. Soak the rice in water for at least a couple of hours, adding some salt to it (don’t make it too salty). Boil the chicken breast with the diced onion and some salt and pepper to have it cooked well, and then let it cool down, and once it’s cooled down, cut the breast in smaller parts, removing the fat, skin or whatever, if you haven’t already done so. 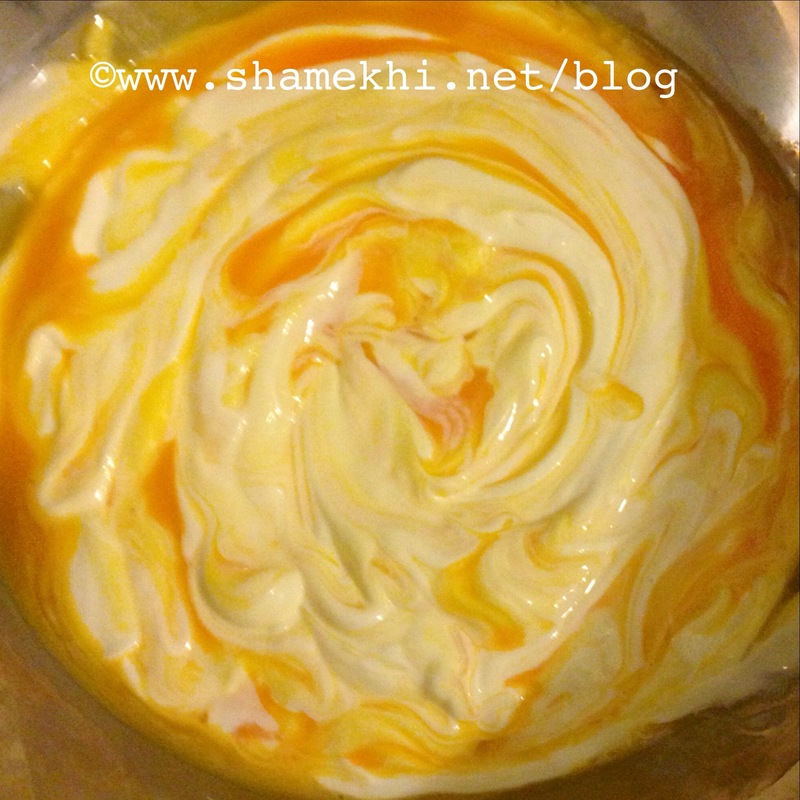 Meanwhile, mix the yolks, yogurt, oil, brewed saffron, cinnamon and salt and pepper in mixing bowl, and add the chopped chicken to it and mix it well with the rest of the ingredients. 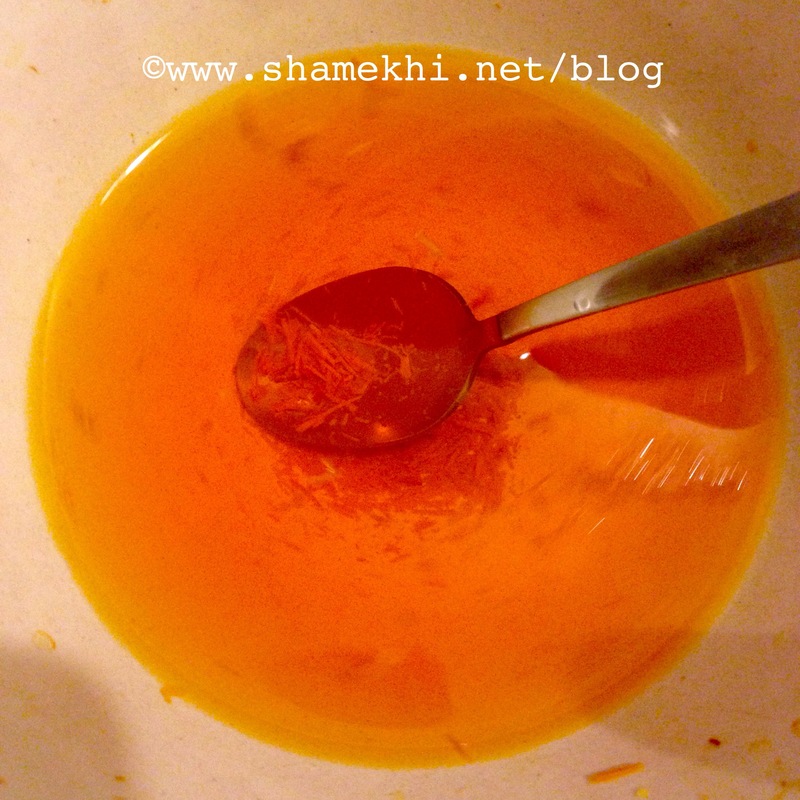 Let the mixture rest for at least half an hour; you can keep it for one or two hours and that will improve the taste, however around half an hour can also be fine if you don’t have that much time to wait. Now to prepare the rice, you must first boil approximately 6 cups of water in a pot, and once the water starts boiling, drain the rice that you’ve been soaking, and add the rice to the pot, and let it boil for a couple of minutes. It’s a bit tricky to know when the rice is ready to drain, and you’ll learn this over time and with practice. The ideal time to drain is when you notice the grains are coming over the water with the boiling bubbles, growing longer and fluffier, with a well-cooked center, but not too soft either, since it’s going to be oven baked later, and if you make it too soft, it won’t keep its cake-ish form. Once the rice is cooked to the desired extent, drain it into a sieve and rinse it throughly with cold water to avoid the grains get sticky. Now take the chicken out of the bowl, and put the rice in, mixing it well with the rest of the ingredients until it’s turned all yellow evenly. Now take your Pyrex or non-stick roasting oven dish and spread a thin layer of oil on it to make it non-stick. add a layer of rice, pushing it with the spoon or whatever utensil you’re using. Add some cinnamon, some dried barberries, and then the pieces of the chicken. now add the rest of the rice, again pushing it to make sure no gaps are left. Cover the dish with a layer of aluminum foil so that it keeps warm, and put it in the oven at 180~200C, depending on your oven type. Be patient, but keep an eye on the dish to make sure it’s not burning. Let it roast in the oven for around 30 minutes or more until the base is crispy and dark gold/orange, and the center/top is cooked well and isn’t too soft. Once you take it out of oven, choose an appropriate tray or plate to turn the dish in it. 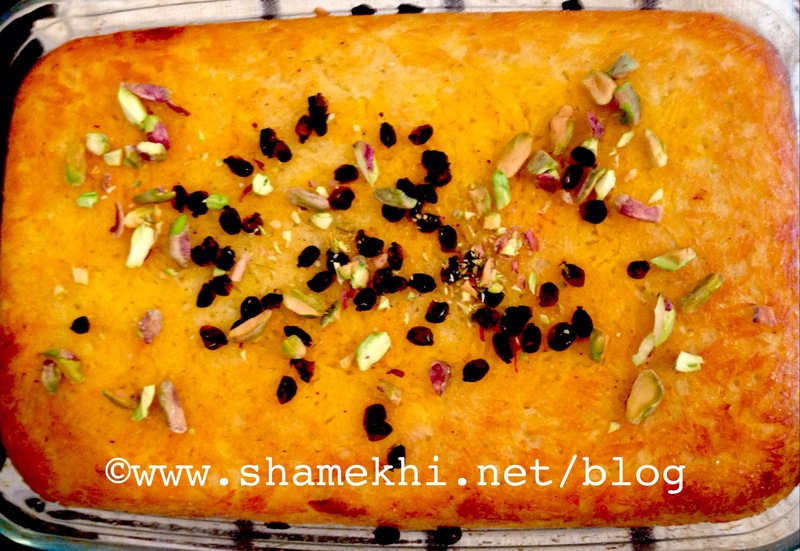 Decorate it with sliced pistachios, and dried barberries.